The shock that Minneapolis restaurateur Jane Lawless is in for when Chester Garrity, her ex-husband, returns to a city that he swore he'd never see again is nothing compared to Chester's own. After their divorce many years ago, he took off with his inheritance to travel the world, leaving Jane with enough seed money to open her first restaurant. Now he's back and penniless, or as he would prefer to say, between fortunes. He's working an angle to make his next fortune by selling a priceless artifact recently looted from the Baghdad Museum, but it all falls through when he wakes up next to the dead body of his buyer with no memory of what happened the night before. Panicked, Chester flees the scene, eventually returning to cover his tracks only to find that someone has already taken care of that for him, but at what price? For the past fourteen years, Ellen Hart has taught "An Introduction to Writing the Modern Mystery" through the Loft Literary Center, the largest independent writing community in the nation. She was made an official GLBT Literary Saint at the Saints and Sinners Literary Festival in New Orleans in 2005. 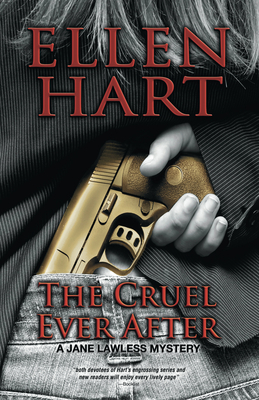 Ellen Hart is the author of twenty-eight crime novels in two different series. She is a five-time winner of the Lambda Literary Award for Best Lesbian Mystery and a three-time winner of the Minnesota Book Award for Best Popular Fiction. She was made an official GLBT Literary Saint at the Saints & Sinners Literary Festival in New Orleans in 2005. For the past fourteen years, Ellen has taught "An Introduction to Writing the Modern Mystery" through the The Loft Literary Center, the largest independent writing community in the nation.